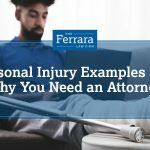 There are a number of different ways for workers who are injured on the job to receive compensation. These include filing for workers’ compensation benefits or pursuing personal injury claims. If you decide that it is in your best interest to pursue a workers comp settlement claim, you likely have questions about what the workers’ compensation application process involves. Section 20 Settlements. If an insurance company denies a workers’ compensation claim, a worker can conclude a Section 20 settlement. Deciding to settle amounts this way results in a worker receiving a lump sum. A person who selects a Section 20 claim is unable to later seek additional compensation. Section 22. By settling through a Section 22 claim, a worker is able to seek additional compensation for future medical care. Section 22 requires a worker to agree to a permanent disability rating. An insurance company then pays a worker’s disability benefits in installments. New Jersey is different from many other states because a worker is capable of settling a New Jersey workers’ compensation at any time. Despite this allowance, many workers wait until they arrive at their maximum medical improvement (MMM). Attempting to settle your claim before reaching MMM is dangerous because there is a risk that you might lose out on the maximum amount you could receive. Determining the amount that you will receive in a workers comp settlement is quite complicated. The amount that a worker receives in a settlement will factor in the severity of your injuries, whether ongoing medical care is required, your wage rate before being injured, and your capacity to return to work. While income taxes will not be deducted from the amount that you receive in workers’ compensation, there are several other amounts that will be deducted from your settlement, including attorneys’ fees, unpaid medical bills, unpaid child support, and money to cover future medical expenses. It is important to remember that your settlement is not final until approved by the New Jersey Division of Workers’ Compensation. For this to happen, an injured party will submit a series of forms that explain the details of the settlement. At the hearing, a workers’ compensation judge will review the terms of a person’s settlement and make sure that the worker is aware that he or she is entering a full and final settlement. The workers’ compensation application process is complicated, which is why accident victims find it critical to obtain the assistance of an experienced attorney to guide them through it. 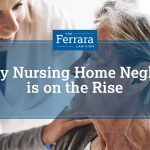 Contact Ferrara Law today for assistance with your workers’ compensation.